At the end of the Second World War, it has generally been perceived that Hitler died in an under ground bunker in Berlin along with his girl friend. This is what history tells us. But a new book claims that not only Hitler escaped Germany but continued to live till he died at the age of 95 in Brazil. 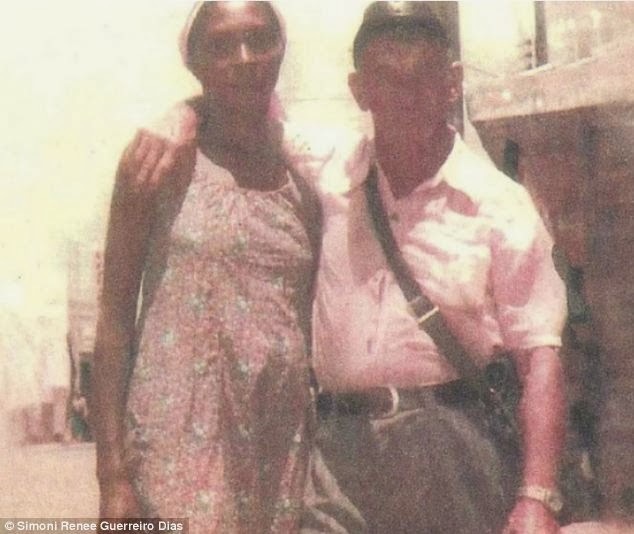 Author Simoni Renee Guerreiro Dias shows a blurred photo of a Hitler like man standing with a woman the author claims to be his girl friend Cutinga. The photo is claimed to have been taken in the small town of Nossa Senhora do Livramento. The author believes the Fuhrer fled to Argentina and then Paraguay before settling in the Brazilian state of Mato Grosso to hunt for buried treasure - with a map given to him by Vatican allies.